I don’t celebrate wedding ceremonies. I celebrate the LOVE between two people. That is what lights my heart, the occasion and the world. Marriage is not the answer for everyone and can even be the wrong answer for some. If you are in a loving relationship and you and your partner choose not to get married, there are other ways to celebrate what is in your heart. 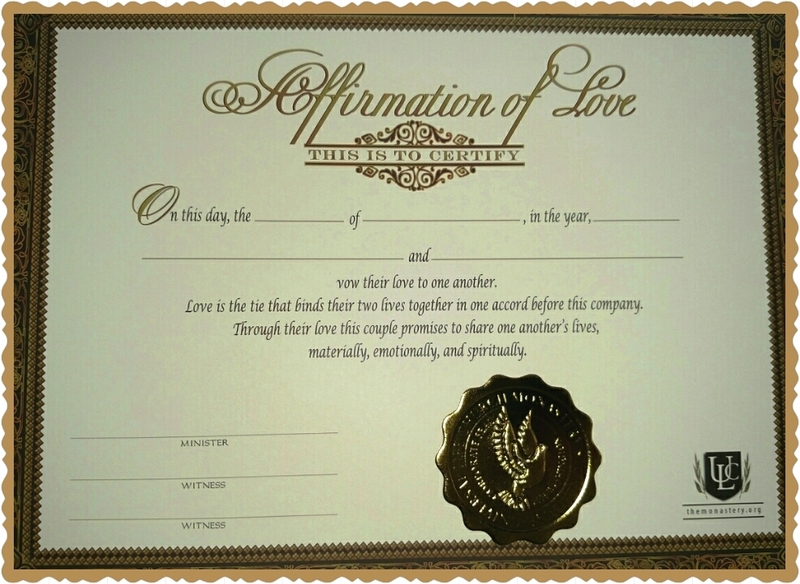 An Affirmation of Love or a Commitment ceremony can be every bit as magical and meaningful as a wedding ceremony. 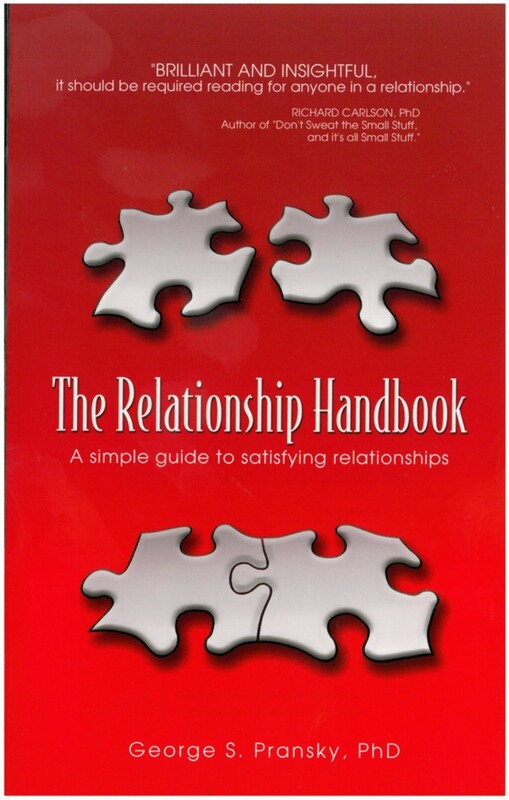 The intention is the same – to bless your partnership and declare your love to each other and to everyone else. 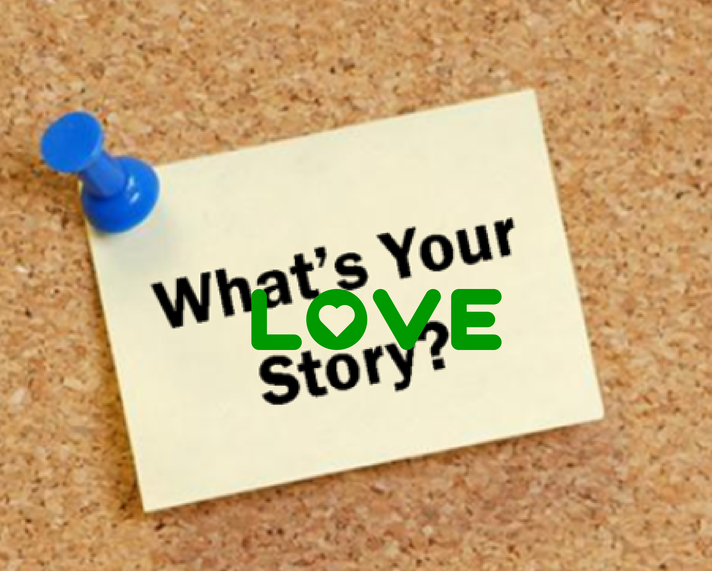 When your story is framed in love … marriage doesn’t have to be part of the picture. It’s empowering to make a decision that is right for you vs doing what is expected by others. Here’s a really good article about marriage as a cultural norm and the harm that norm can cause us. Yesterday’s wedding was the perfect blend of elements for sweethearts Danny and Shannon. Held at a private home in the Irvington area of Portland, the celebration combined a lush garden with lawn games, DIY flowers with jeweled dresses and catered cuisine with s’mores by the fire pit. A dining room table at Restoration Hardware brought the couple together (she was buying, he was selling) so it was fitting that they include a salt ritual during the ceremony. The blended salt will be used in their cooking as a reminder of the zest of their wedding day. The bride’s three sisters, two-year old niece and newborn nephew were in attendance as vows were exchanged under the backyard trellis. Following the ceremony, guests enjoyed hors d’oeuvres and beverages on the patio. The chefs from Art de Cuisine worked their magic in the kitchen creating a lavish dinner that included cedar planked salmon, tri-tip beef and roasted market veggies. In lieu of wedding cake, the couple served triple blackberry cheesecake with a chocolate crust from Papa Haydn. Yum! After a honeymoon in Belize, the newlyweds return to their Sellwood home and life in PDX where Shannon works in marketing research and Danny is completing his masters in statistics at PSU. Congratulations, Mr. & Mrs. Duncan! May your life be forever flavored with joy and laughter. Family members literally gathered from far and wide to celebrate the big day for Tony and Maria. The wedding was held yesterday at the luxurious Sentinel Hotel in downtown PDX. Tony’s African roots were well represented by loved ones who crossed the ocean for the big event including his Mom who lives in England and his Grandmother who traveled from Zimbabwe. Born in So. CA, Maria was happy to have her Grandmother attend from Los Angeles; as well as local family members and friends. 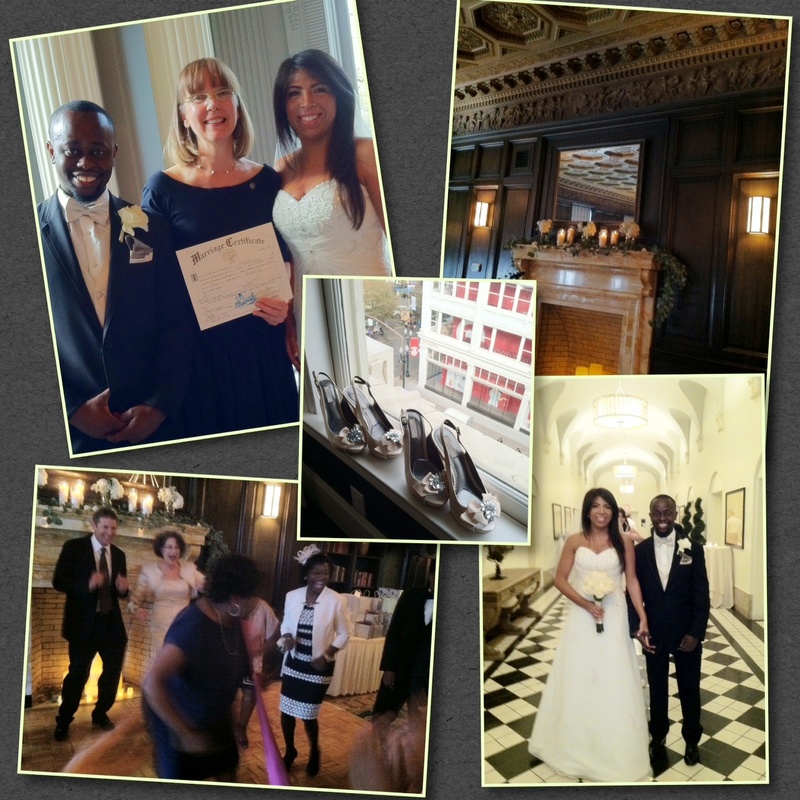 The spirit of harmony was felt throughout the ceremony and reception … so much joy filled the room it was palpable. And you gotta love it when guests dance before, during and after dinner. That’s my kind of party. The newlyweds will honeymoon in Cancun before returning to PDX where the bride is an esthetician and the groom is a software engineer for Nike. Congratulations, Mr. & Mrs. Tonderai Nemarundwe. May the love and harmony that graced your wedding day remain with you always! 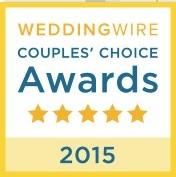 The WeddingWire Couples’ Choice Awards® recognizes the top 5 percent of local Wedding Professionals throughout the United States, Canada and abroad that demonstrate excellence in quality, service, responsiveness and professionalism. Awards are determined by a combination of excellence in four factors: overall rating (quality), total number of reviews (quantity), review performance from 2014 (recency), and consistency of reviews from year to year (consistency). THANKS to all my lovely couples who made this happen. And here’s to all those on the road ahead. It’s a joy!